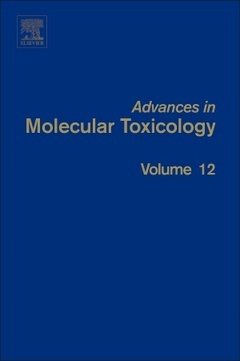 Coordonnateurs : Fishbein James C., Heilman Jacqueline M.
Advances in Molecular Toxicology, Volume 12, features the latest advances in the subspecialties of the broad area of molecular toxicology. This series details the study of the molecular basis of toxicology by which a vast array of agents encountered in the human environment, and produced by the human body, manifest themselves as toxins. The book is not strictly limited to documenting these examples, but also covers the complex web of chemical and biological events that give rise to toxin-induced symptoms and disease. The new technologies that are being harnessed to analyze and understand these events are also reviewed by leading experts in the field. Dr. Jacqueline Heilman works at Exponent, Inc., Washington, DC.